Background: Diabetes mellitus is an emerging global epidemic, taking its toll in developing countries as India. Presently, the treatment for diabetes using allopathic drugs gives only a temporary relief. A combination of right medicine and potency, on other hand has given Homoeopathy a high success rate in the treatment of this disease. Objective: The aim of this study was to investigate the effects of Cephalandra indica mother tincture and potencies on blood glucose level, cholesterol level, body weight, and beta-cells of pancreatic islets of Langerhans, in streptozotocin (STZ)-induced diabetic Wistar rats. Material and Methods: Glucose uptake was monitored in mother tincture-treated mouse fibroblast cell line. Diabetes mellitus was induced by intraperitoneal injection of STZ (55 mg/kg body weight) in adult male rats. After three days of injection, diabetic rats received mother tincture orally (750 μL/kg body weight) daily for three weeks. Results: There was a significant reduction of blood glucose level, regain of body weight, and regeneration of beta-cells in the pancreas of the mother tincture-treated rats. Mother tincture-treated 3T3 cells also showed reduced uptake of glucose in comparison to normal cells. Conclusion: The present study clearly indicates a significant antidiabetic effect of Cephalandra indica and lends support for its usage as a homoeopathic medicine. The present study was carried out to evaluate the antidiabetic activity of Cephalandra indica [mother tincture (MT) and potencies] belonging to the family of Cucurbitaceae. The medicine is used in biliousness, bilious complaints, poisonous boils, abscesses, carbuncles, blood poisoning, inflammation, and glandular swelling of the neck. Cephalandra indica has been acknowledged for its wound healing ability. It also finds use in the traditional system of Ayurveda to treat diabetes, jaundice and dysentery. All chemicals and reagents were purchased from Sigma-Aldrich, unless mentioned otherwise. Cephalandra indica MT and potencies (6C, 24X, 12C and 30C) were brought from Hahnemann Publishing Company Private Ltd. (HAPCO), Kolkata. Healthy male Wistar rats were procured from M/s SC Ghosh, Kolkata. The rats were housed in polypropylene cages and were maintained in ventilated caging (Citizen Industries Ltd., India) conditions (temperature: 22 ± 2° C, relative humidity: 57 ± 10%, and 12:12 light: dark cycle) at the Indian Institute of Technology, Kharagpur. The rats were put on a standard diet and had free access to water. The experiments were performed after approval of the protocol by the Institutional Animal Ethics Committee (IAEC) and were carried out in accordance with the current guidelines for the care of laboratory animals. 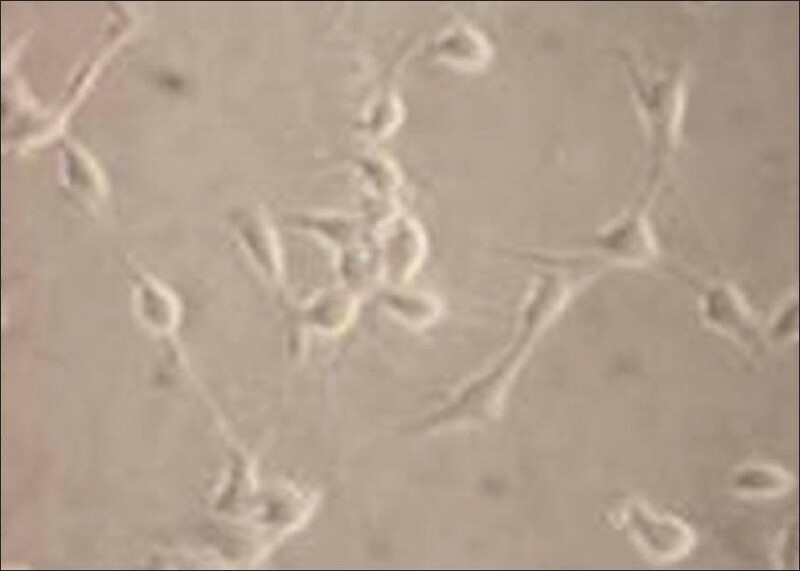 Mouse fibroblast 3T3 cells were purchased from the National Centre for Cell Science, Pune, India. The cells were maintained at the Indian Institute of Technology, Kharagpur. The experiments were also conducted in the Indian Institute of Technology, Kharagpur from September 2009 to December 2011. Diabetes mellitus was induced in healthy male Wistar albino rats by a single intraperitoneal injection of freshly prepared streptozotocin (STZ; in 0.1 M citrate buffer pH 4.5) at a dose of 55 mg/kg body weight. After three days of STZ injection, animals with fasting blood glucose above 400 mg/dL were considered as diabetic and included in the study. After three days of injection, diabetic rats received MT/potencies orally (750 μL/kg body weight) daily for three weeks. Doses: Glibenclamide - 1mg/ kg body weight. 40% ethanol, MT, 6C, 24X, 12C and 30C - 75 μL/ 100 g body weight. Data were recorded at the end of each week for four weeks. MT, placebo, and glibenclamide were administered orally. Body weight, cholesterol, and blood glucose analyses were done weekly on overnight fasted animals. At the end of the experimental period, the animals were sacrificed by cervical decapitation. Organs like liver and pancreas were dissected, immediately rinsed in liquid nitrogen, and stored at −80° C for further studies. Blood samples were taken from the tail vein [according to Guideline 9 (3/10/99) of the Institutional Animal Care and Use Committee (IACUC)] before oral administration of MT or the vehicle. Twenty-two microliters of blood were used for each assay; the glucose concentration was measured in plasma serum with a glucometer (Accu-Chek Compact, Roche). Cholesterol estimations were done spectrophotometrically (Chemito Technologies, India) using standard kits (Merck, India). 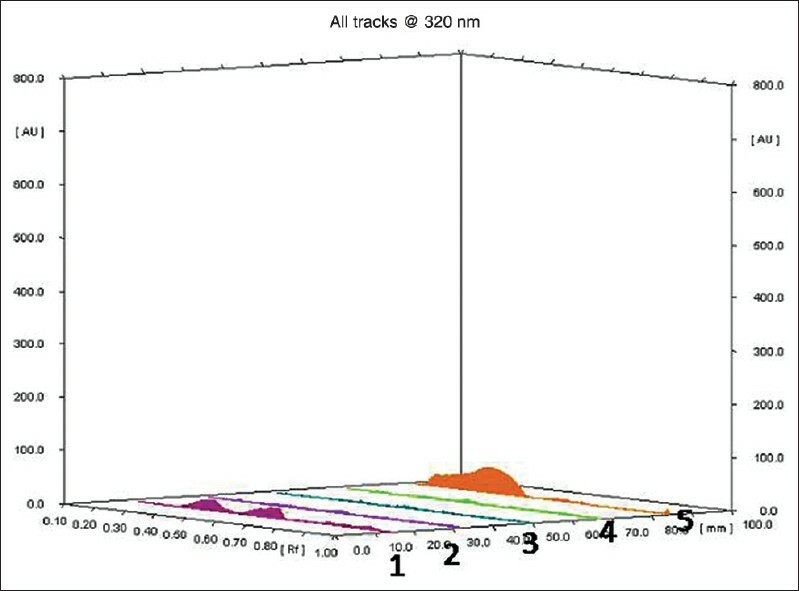 Additional analyses were done for cross-checking using Transasia semiautomated analyzer. Tissue specimens of the liver and pancreas of STZ-induced treated and untreated rats (stored at −80°C) were fixed in Bouin's fluid for 24 hours and dehydrated through alcohol gradient series up to absolute ethanol. These were transferred to xylene and saturated with wax overnight for block preparation. Microsections were cut and mounted on clean slides at 37°C. The sections were deparaffinized by two changes in xylene, 10 minutes each time. The sections were rehydrated by two changes in absolute ethanol (5 minutes each) followed by passage through 95% and 70% ethanol for two minutes each time. Finally, these were washed in distilled water. 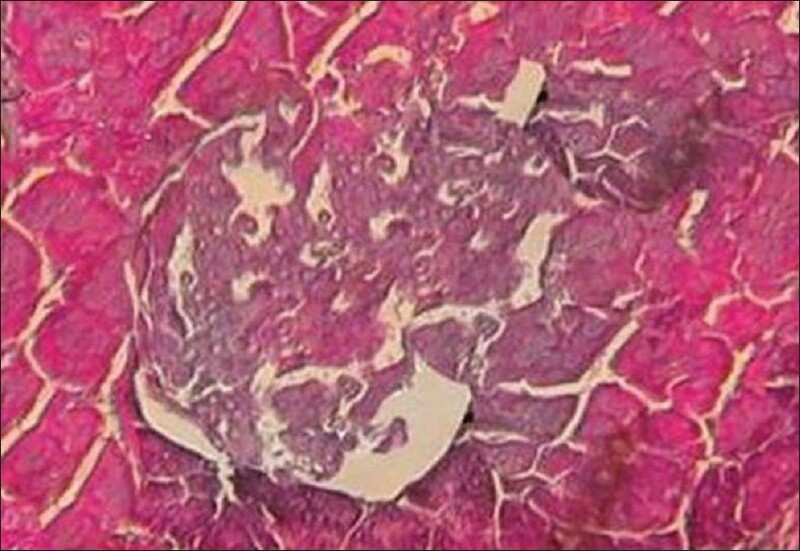 The sections were stained in Mayer's hematoxylin solution (0.1%) for eight minutes. The stained sections were washed in running tap water and finally rinsed in distilled water. They were counterstained in 1% Eosin Y solution for 45 seconds. The double-stained sections were finally mounted in di-n-butylphthalate-polystyrene-xylene (DPX) mounting medium after following reverse dehydration up to 100% ethanol. The sections were photographed by an Olympus microscope, with magnification ×400. The 3T3 cells were maintained in Dulbecco's modified Eagle's medium (DMEM) (Invitrogen, USA) with 15 mM HEPES [HEPES: (4-(2-hydroxyethyl)-1-piperazineethanesulfonic acid)] buffer supplemented with 10% heat-inactivated (30 minutes, 56°C) fetal bovine serum (FBS) (Invitrogen) and antibiotics (100 U/mL penicillin, 100 μg/mL streptomycin, HiMedia). They were incubated in a 5% carbon dioxide (CO 2 ) atmosphere incubator (Heracell 150i, Thermo Fisher Scientific Inc., USA) at 37°C. Subculturing was done after the cells reached confluence level by detaching cells from flasks using 0.25% trypsin-0.02% ethylenediaminetetraacetic acid (EDTA) solution in a 1:4 splitting ratio. The cell viability was measured using trypan blue (0.4%) dye exclusion method and cells with >95% viability were used for further experiments. 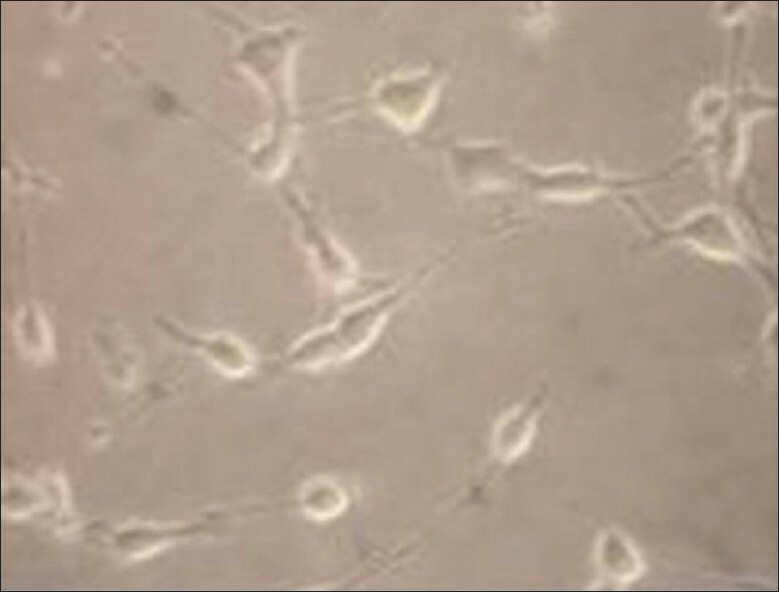 The 3T3 cells were incubated in serum-free medium for a short period and then incubated in phosphate-buffered saline (PBS)-containing insulin. After washing, the cells were incubated in PBS containing 2-deoxyglucose and 2 mCi/mL 2-deoxy-D-[3H/14C] glucose. 3H-glucose uptake was detected using liquid scintillation counter (Beckman Coulter, USA). 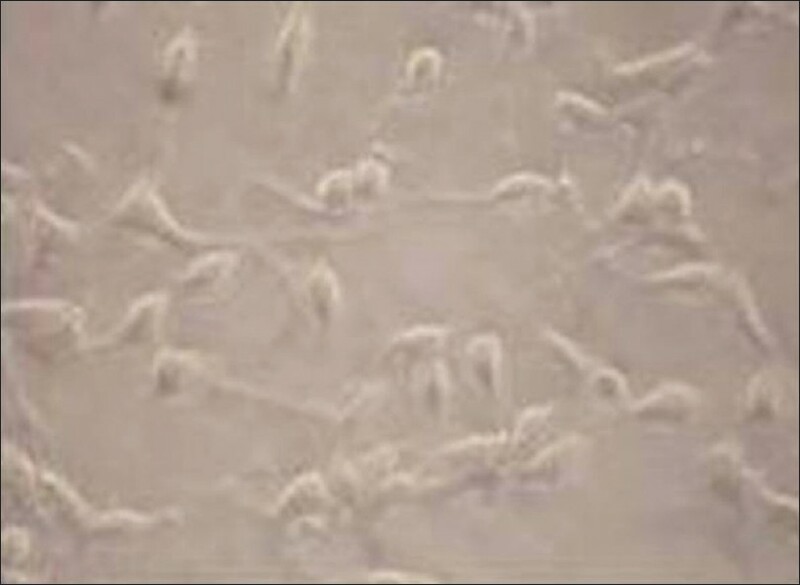 About 5 × 10 6 cells were taken in microcentrifuge tubes. The cells were centrifuged at 250 g for five minutes. The supernatant was discarded and 1 mL assay buffer (37°C) was added and recentrifuged to wash the cells. This step was repeated thrice. Then 14C glucose was added into the reaction mixture and incubated for 20 minutes at 37°C. The reaction mixture was vacuum-filtered with 0.1 μm porosity nitrocellulose filter membrane disc. Then, 3 mL of ice cold assay buffer, 1mL at a time, was added to wash by vacuum filtration. Thereafter, 3 mL ice-cold 5% trichloroacetic acid (TCA), 1 mL at a time, was added to the filtration device and filtered. After the liquid from the disc was totally filtrated, the filter disc was dried in room temperature. The filter discs were put in a liquid scintillation counting (LSC) vial containing 3 mL of LSC cocktail and the β-count was taken. Each data point represents the mean and standard deviation of three samples. Analysis was performed using a Student's t-test designed by GraphPad Software QuickCalcs. The significance and P values are indicated in data tables. Phenolics and terpenoids were isolated from MT as mentioned elsewhere. MT was extracted with methanol (1:4 w/v). The extract was filtered and dried to concentrate. The extract was then acidified with 2N H 2 SO 4 and further extracted with three volumes of chloroform. The chloroform extract was dried and used for analysis by High Performance Thin Layer Chromatography (HPTLC) and liquid chromatography-mass spectrometry (LC-MS). The extracts were subjected to HPTLC  on a Linomat 5 (Camag, Switzerland) system using toluene: ethyl acetate: acetic acid (3:1:1) as the mobile phase. TLC silica gel 60 F254 plates (Merck, Germany) with fluorescent indicator (254 nm) were used for normal-phase HPTLC and Rf value determination. Each time, 20 μl of the sample was spotted on the silica gel-coated plates. LC-MS/MS analyses were performed  using a Waters 2695 separation module coupled with Quattro microTM API mass spectrometer (Waters, USA). The liquid chromatographic (LC) system equipped with quaternary pump, on-line vacuum degasser, autosampler and thermostatic column compartment was connected to a photo diode array (PDA) detector (model no: Waters 2998). Data acquisition and analyses were carried out in Waters MassLynx 4.1 software. The sample (10 uL) was injected into the LC system by the autosampler and separation was performed on a XTerra MS C18 reversed-phase column (2.1 × 100 mm Internal Diameter (ID), 5 um particle size, Waters). The mobile phase comprised 0.1% aqueous formic acid and acetonitrile 0.3 mL/minute, and column temperature was maintained at 25°C. All the compounds were detected within the range of 230-360 nm in the PDA detector. The LC-eluted samples were introduced into the electrospray ionization (ESI) source in a postcolumn splitting ratio of 3:1. An ES source with negative ionization mode (source block temperature: 130°C, desolvation temperature: 300°C, capillary voltage: 3 kV, cone voltage: 30 V) was used for mass analysis. The desolvation and cone gas were 650 and 50 L h-1, respectively. The data were recorded in the MS scanning mode with a scan range of 100-600 (m/z); the scan time was 0.5 seconds, and interscan delay time was 0.1 seconds. At the end of four weeks, blood glucose level for the MT-treated animals was found to be 269 mg/dL, whereas rats treated with glibenclamide showed a blood glucose concentration of 278 mg/dL [Table 1]. In comparison to diabetic control animals (blood glucose level 486 mg/dL), this is a significant reduction. MT therefore compares very well with glibenclamide in therapeutic effect. For all the potencies, the blood glucose levels remained significantly higher (in the range of 390-485 mg/dL) and were therefore not effective antidiabetically. The body weight of the rats were measured every week up to four weeks. Variations in body weight are presented in [Table 2]. In the treated animals, MT resulted in regain in body weight to normalcy. The glibenclamide-treated animals lost body weight to the extent of 30%. The serum cholesterol levels were not altered significantly between treatment groups and control. They all ranged within 183-234 mg/dL [Table 3]. 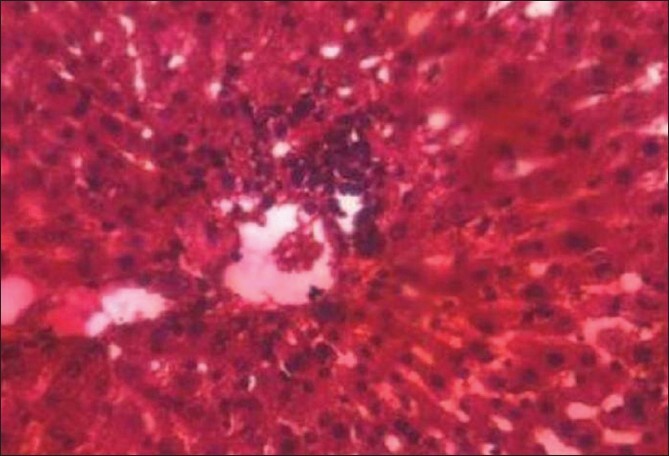 Tissue biopsy of treated and untreated rats showed partial recovery of liver and Islets of Langerhans More Details for MT-treated STZ-induced diabetic rats. 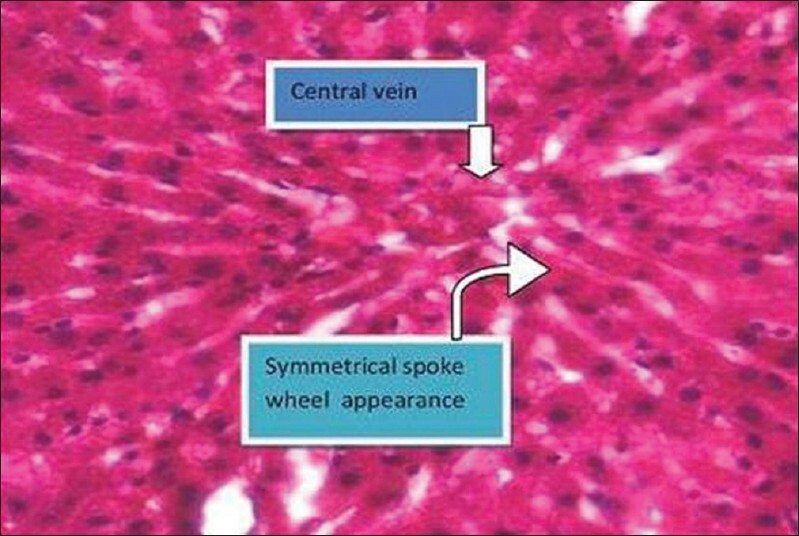 [Figure 1] shows the liver of normal rat with a prominent central vein and symmetrical spoke-wheel appearance of other veins. 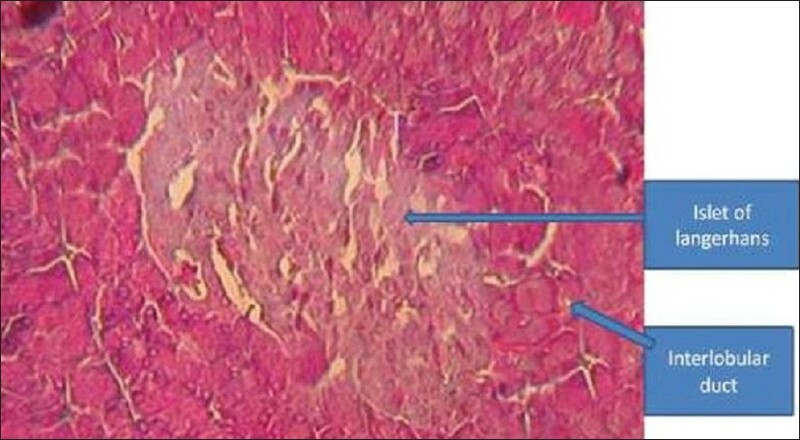 [Figure 2] shows deformed liver of STZ-induced diabetic rats. 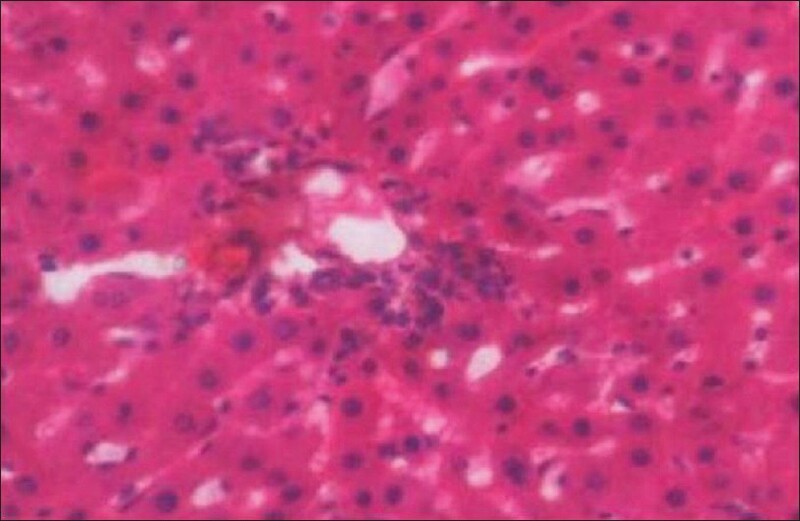 However, liver biopsies of MT-treated diabetic rats showed a partial recovery [Figure 3]. 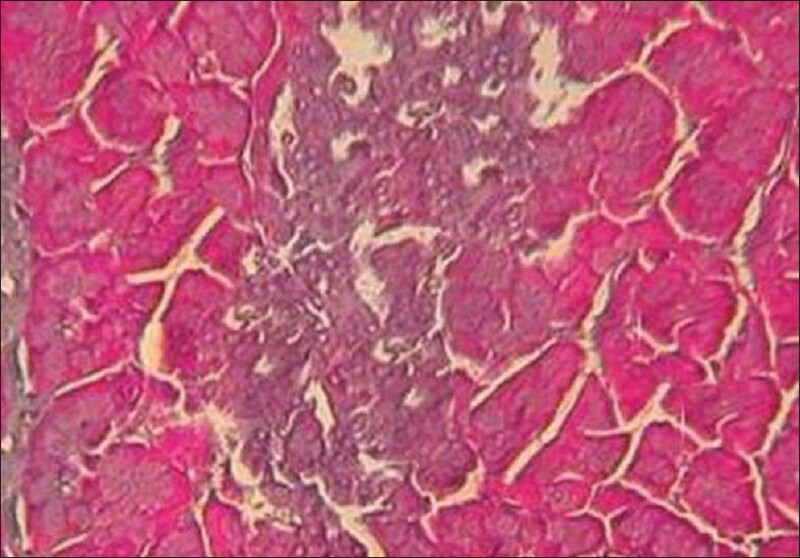 Histopathology of normal rat pancreas is shown in [Figure 4]. Pancreatic biopsy showed no recovery of beta cells of the islets of Langerhans and interlobular duct in untreated diabetic animals [Figure 5] whereas MT-treated diabetic rats [Figure 6] showed maximum recovery. Experiments with radiolabeled glucose in cultured 3T3 cell line are presented in [Table 4] and [Figure 7], [Figure 8] and [Figure 9] show that both glibenclamide and MT showed reduced count per minute (CPM), indicating reduced glucose uptake in comparison to dimethyl sulfoxide (DMSO)-treated control. 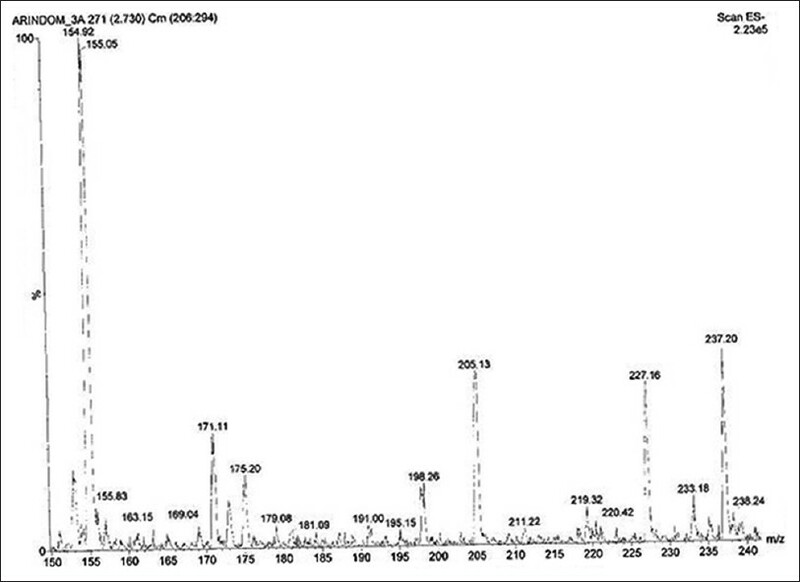 The HPTLC and LC-MS/MS-based phytochemical analyses revealed [Figure 10], [Figure 11] and [Figure 12] the presence of phenolics protocatechuic acid (154.9), gallic acid (171.1), syringic acid (198.3), p-coumaric acid derivatives (205.1), and gallocatechin (305.1), with their corresponding mass, as indicated within parentheses, in MT but not detectable in the potencies. 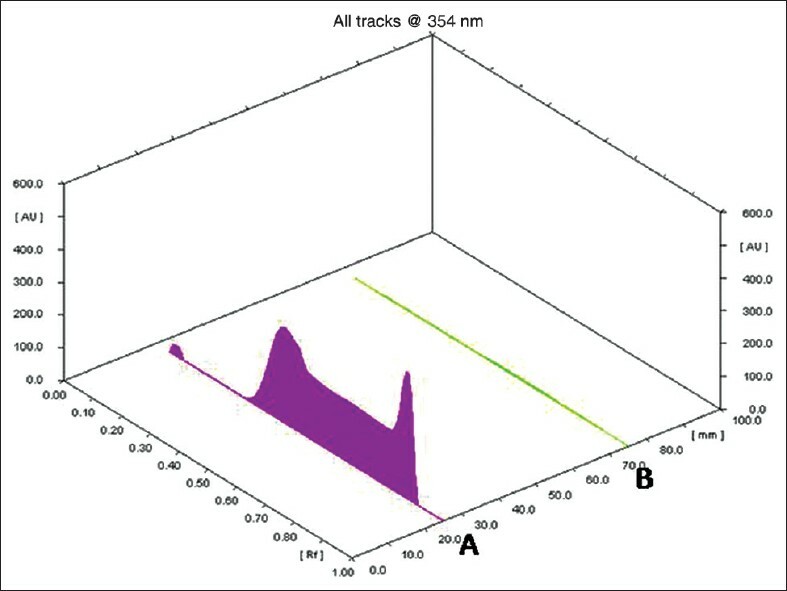 Figure 12: Liquid chromatography– mass spectrometry (LC‑MS) profile of high‑performance thin‑layer chromatography (HPTLC) separated phenolics from mother tincture. The fresh leaf extract had many more numbers of known and unidentified phenolics (data not presented). This investigation revealed that Cephalandra indica MT is a potential antidiabetic medicine. The testing of biological activities in vivo in rats and in vitro in 3T3 cell lines has indicated that Cephalandra indica MT reduced the blood sugar level in diabetic rats significantly and inhibited the uptake of radioactive glucose, respectively. The partial recovery of altered islets of Langerhans and interlobular ducts in the pancreas of STZ and Cephalandra indica MT-treated rats also support this observation. Liver and pancreatic biopsy of the MT-treated rats showed partial recovery in comparison to untreated and glibenclamide-treated rats. Glucose uptake assay also confirmed that MT-treated 3T3 cells uptake less glucose in comparison to untreated cells. In conclusion, the present study supported the use of Cephalandra indica in the treatment of diabetes. Cephalandra indica MT could reverse the effect of STZ-induced glucose levels indicating antidiabetic activity. The antidiabetic activity may be due to the restoration of liver and pancreatic tissue, thus reducing the risk of secondary complications associated with diabetes. Further detailed activity of isolated molecules of Cephalandra indica MT may unveil the constituents responsible for the antidiabetic activity. The active constituents of Cephalandra indica were identified by HPTLC and LC-MS. There were no terpenoids identified in MT, whereas all other dilutions (6 to 30C) were found to have nondetectable levels of active constituents. Although specific molecules responsible for weight increment in MT-treated rats were not identified, it may be suggested that as MT is rich in phenolics [Figure 10], [Figure 11] and [Figure 12]; these molecules may have a contributory role, possibly by preventing protein and lipid catabolism. This is the first ever study on Cephalandra indica MT, identifying several molecules in it. The results will induce further research in exploring the usefulness of specific molecules responsible for antidiabetic effects. A systematic review on 108 clinical studies  on well-known herbs (used commonly in glycemic control) such as ivy gourd (Cephalandra indica), ginseng, garlic, tulsi, fenugreek, gurmar, karela, and aloe indicated that all these herbs have efficacies similar to conventional drugs. These investigations, however, lacked uniformity with regard to experimental design, methods, molecular constituents, and doses. The evidence was therefore termed as preliminary and warranted in-depth study. The efficacy of Cephalandra indica MT as an antidiabetic homoeopathic medicine was reported  as early as 1988. Pancreatic beta-cell regeneration was also observed. Further progress through subsequent research was not evident in the literature. The present investigation on the same homoeopathic medicine, using both in vivo and in vitro model experiments with similar observations of reduced blood sugar levels as well as STZ treatment-altered central vein and spoke-wheel appearance in the liver as well as islets of Langerhans and interlobular duct in the pancreas, and the treatments with MT toward partial recovery of both, records a more concrete information for its therapeutic role. Hypoglycaemic herbal constituents reportedly have an insulin-secretagogue role in stimulating skeletal muscles, preventing neurological deficits, suppressing stress-activated protein kinase, regenerating beta-cells in the islets of Langerhans, and many phenolics compounds in them may modulate signal transduction pathways. Several antidiabetic herbal products are available in the market globally. But the United Kingdom has issued a warning in using such medicines due to concerns over safe dosage and due to lack of information on actual bioactive compounds. This investigation revealed that Cephalandra indica MT is rich in many phenolics that are important for health care. On the whole, it is reaffirmed that the efficacy of Cephalandra indica MT could be supported by modern biological experiments as reported here. Glibenclamide was reported as an antidiabetic drug for type-II diabetes as early as 1966. But its newer mechanism of action and usefulness were established over the last 40 years,  establishing it as an irreplaceable molecule. The only other widely used alternative is metformin. It is therefore imperative that more research must be promoted for a greater market share of homoeopathic medicines for important diseases like diabetes. As homoeopathic medicines are much cheaper, this effort will come as a boon to poorer sections of the Indian population. In response to the increasing use of complementary and alternative medicines, even the rich nations like the United States (US Preventive Services Task Force; American Diabetes Association Guidelines) recommended more studies on Coccinia indica (Cephalandra indica) based on encouraging results from randomized controlled trials using Cephalandra indica powder displaying insulin-mimetic properties of a magnitude similar to conventional medicines. Cephalandra indica, like Gymnema sylvestre, has no side effects on liver and kidney. One prerequisite for attracting the global market for such low-cost medicine is specifying actual bioactive compounds and their doses. This is likely to boost the economic health of the manufacturers of homoeopathic medicine in India. The authors thank the department of AYUSH, Government of India, for the financial support for this investigation through the extramural research scheme. They also thank Dr. DS Bhar, HAPCO, Kolkata, for providing ultrahigh diluted potencies. 1. Kumar S, Kumar V, Prakash OM. Antidiabetic and hypolipidemic activities of Kigelia pinnata flowers extract in streptozotocin induced diabetic rats. Asian Pac J Trop Biomed 2012;2:543-6. 2. Arky RA. Clinical correlates of metabolic derangements of diabetes mellitus, In: Kozak GP, editors. Complications of diabetes mellitus, Philadelphia: W.B. Saunders; 1982. p. 16-20. 3. Bandawane D, Juvekar A, Juvekar M. Antidiabetic and antihyperlipidemic effect of Alstonia scholaris Linn bark in streptozotocin induced rats. Indian J Pharm Educ Res 2011;45:114-20. 4. Patel K, Srinivasan K. Plant foods in the management of diabetes mellitus: Vegetables as potential hypoglycemic agents. Nahrung 1997;41:68-74. 5. Day C. Traditional plant treatments for diabetes mellitus: Pharmaceutical foods. Br J Nutr 1998;80:203-8. 6. Mankil J, Moonsoo P, Hyun CL, Yoon-Ho K, Eun SK, Sang KK. Antidiabetic agents from medicinal plants. Curr Med Chem 2006;13:1203-18. 7. Ghose SC. Drugs of Hindoosthan. Kolkata: Hahnemann Publishing Co. Pvt. Ltd.; 2003. 8. Harborne JB. Phytochemical Methods. 3rd ed. New Delhi: Springer (India) Pvt. Ltd.;2005. 9. Pothala P, Dutta Majumdar D, Dey S. Phenylpropanoid profiling in the elicited sandalwood culture. J Med Aromatic Plant Sci 2010;32:432-6. 10. Mandal S, Dey S. LC-MALDI-TOF MS-based rapid identification of phenolic acids. J Biomol Tech 2008;19:116-21. 11. Russell ST, Rajani S, Dhadda RS, Tisdale MJ. Mechanism of induction of muscle protein loss by hyperglycaemia. Exp Cell Res 2009;315:16-25. 12. Haldar PK, Kar B, Bhattacharya S, Bala A, Kumar RB. Antidiabetic activity and modulation of antioxidant status by Sansevieria roxburghiana rhizome in streptozotocin-induced diabetic rats. Diabetol Croat 2010;39:115-23. 13. Misra BB, Dey S. Evaluation of in vivo anti-hyperglycemic and antioxidant potentials of santalol and sandalwood oil. Phytomedicine 2013;20:409-16. 14. Virdi J, Sivalami S, Shahani S, Suthar AC, Banavalikar MM, Biyani MK. Antihyperglycemic effects of three etracts from Momordica charantia. J Ethnopharmacol 2003;88:107-11. 15. Prince PS, Menon VP, Pari L. Hypoglycemic activity of Syzigium cumini seeds: Effect on lipid peroxidation in alloxan diabetic rats. J Ethnopharmacol 1998;61:1-7. 16. Prince PSM, Menon VP. Hypoglycemic and other related actions of Tinospora cordifolia roots in alloxan-induced diabetic rats. J Ethnopharmacol 2000;70:9-15. 17. Yeh GY, Eisenberg DM, Kaptchuk TJ, Phillips RS. Systematic review of herbs and dietary supplements for glycemic control in diabetes. Diabetes Care 2003;26:1277-94. 18. Rastogi DP, Saxena AC, Kumar S. Pancreatic beta-cell regeneration: A novel anti-diabetic action of Cephalandra indica mother tincture. Br Homoeopath J 1988;77:147-51. 19. Joseph B, Jini D. Antidiabetic effects of Momordica charantia (bitter melon) and its medicinal potency. Asian Pac J Trop Dis 2013;3:93-102. 20. Luzi L, Pozza G. Glibenclamide: An old drug with a novel mechanism of action? Acta Diabetol 1997;34:239-44.